Checkpoint Charlie is the Berlin Wall’s most famous border post. It is situated in Friedrichstrase and was formerly where the Soviet and American sectors met. However, only members of the military, ambassadors and embassy workers from the GDR and civil servants from the same sector could cross from one side to the other. This crossing point bore witness to escapes and frustrated attempts to scale the wall. It was also where thousands of detentions and dozens of deaths took place. On the 12th of August 1961, the GDR started to build what was called the Berlin Wall to separate the two sides of the city and permanently isolate West Berlin. This was an attempt to stop Germans in search of a better life from emigrating from east to west. More than 100,000 citizens from the east tried to escape across the interior German border or Berlin Wall, and hundreds were shot or died in the process. Not long ago a document was found in a Stasi (secret police) archive outhouse dated the 1st of October 1973. The report was directed to a special unit of border guards, whose mission was to stop their own soldiers from escaping – something which happened often. They were explicitly ordered to shoot anyone who tried to cross the so-called ´wall of shame`. Not even today do we know the number of people who were killed trying to escape. According to the wall’s commemorative museum, the death figure is as high as 1,200. Berlin’s public prosecutor, however, has only been able to prove 270 deaths. It is said that the GDR imprisoned more than 75,000 people for escaping, but that 2,500 crossed over successfully and 270 were shot on the wall. The wall’s first victim was 24 year old Gunther Litfin, who was shot in Iehrstadt, next to the river Spree. The last death was that of the 20 year old student Chris Gueffroy, barely three months before a popular uprising brought the wall down. In 1990 Checkpoint Charlie was demolished and two years later an exact replica of this historic border post was erected. It had the famous inscription: “You are leaving the American sector”. 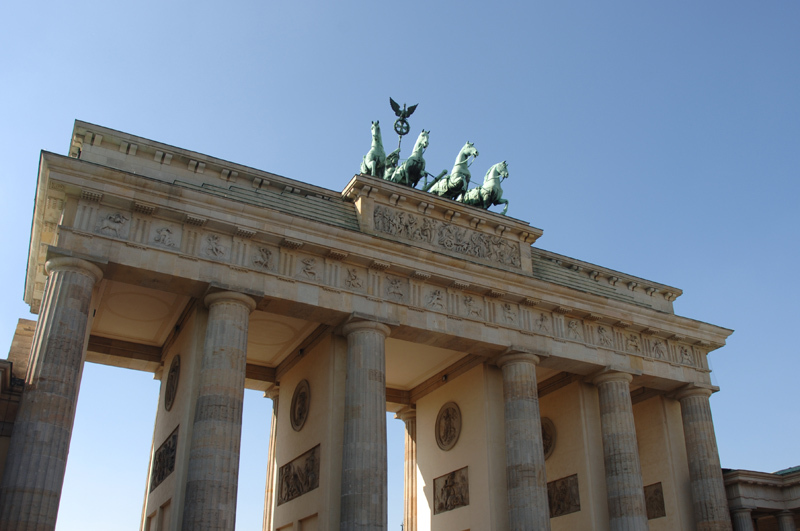 Today it is one of Berlin’s most visited tourist attractions and acts as a permanent reminder of a divided Germany and how difficult it was to cross the wall in secret. Next to Checkpoint Charlie is a museum with the same name. In its archives there are endless photos, videos and other interesting objects, together with details documenting the East Berliners’ fight to get over the wall. Among the many surprising stories of these anonymous people is one about a woman who crossed the border hidden inside a sound system’s loud speaker, and another of a whole family who managed to float over the wall in an air balloon they made at home. In addition to the various elements that are used to describe these dramatic stories, you will also have the chance to see small, everyday contraptions belonging to the former chief of the Stasi, such as diaries and other personal objects. The sight of the exhibits makes you tremble, above all the section dedicated to those people who were killed trying to cross the wall. Making a visit here will give you a perspective of the horror in which the divided city’s inhabitants lived.